· E=MC^2 is the famous equation that relates energy (E) to mass (M). · Energy makes up atoms. Atoms make up matter. · Once released, energy reforms and so the cycle goes. The energy transformations in themselves require energy to occur. The Star Ways is created from three distinct, yet interconnected, states of energy/matter formations. Each of the energies draws its substance from each other. The purest energy is the celestial. From it surges biophotonic energy. From biophotonic surges atomic energy which then slows into atomic matter. 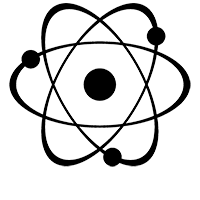 This atomic matter (as we known it) breaks down over a long period of time, to reform back into useable energy. The atomic and biophotonic energy released from the decomposing matter can then recede back into the celestial energy from which it had once begun. Thus the three states of energy/matter of the Star Ways are bonding in perpetual re-creational motion, not unlike the waves of a sea. The spiralling nature of all three states of the Star Ways was inspired by the motion of atoms as they bond together to form the universe. Hence, the Star Ways is in a combined energy state of perpetual, recreational motion of renewal. A threefold, interconnected synergetic transformation occurring within a predetermined rhythmical pattern, much as atoms and the universe might do in real life. In the story of the Star Ways this is referred to as a transcenion; energy /matter evolutions. The relationship between energy/matter provided the theory base for the story’s setting. The physical state of the Star Ways (spheres) provides the background for the story, and its energy states (spirals) provided its ‘spirem’ characters. The story begins when the harmonious balance of the frequencies is threatened. This spiralling, wave like motion of the Star Ways is in fact ‘the’ Star Ways. The Star Ways exists as an atom. It exists as a universe. It exists as three separate yet inter-spiralling energy spheres that, like an atom, have ‘shells’. These shells are the physical matter of the Star Way’s spheres. Refer to the following terms for further information. The Star Ways forms of Energy are called spirals. The Star Ways forms of matter are called spheres.